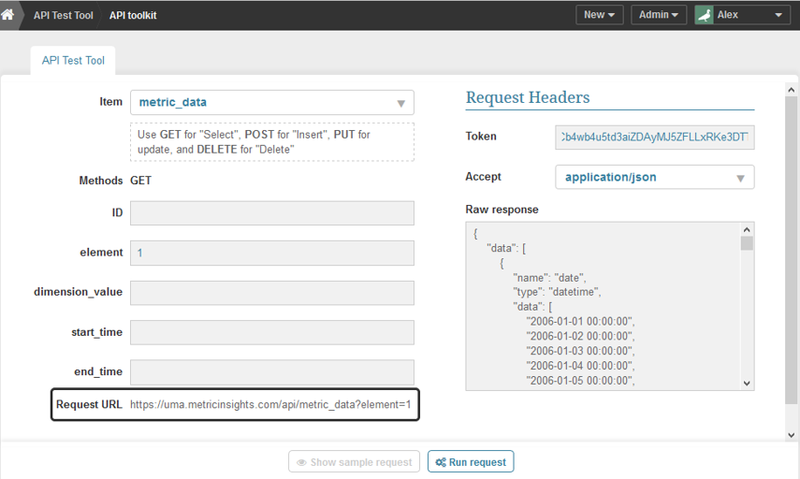 See the follow-on article to see what items to pull via API such as which Element ID to use for your Metric or Report in Metric Insights. 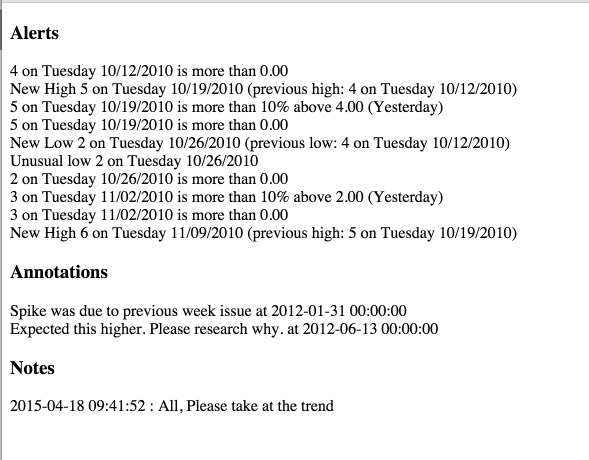 Example of Alerts, Annotations and Notes pulled from Metric Insights via API and displayed in a separate website. NOTE: All API calls require a Token. 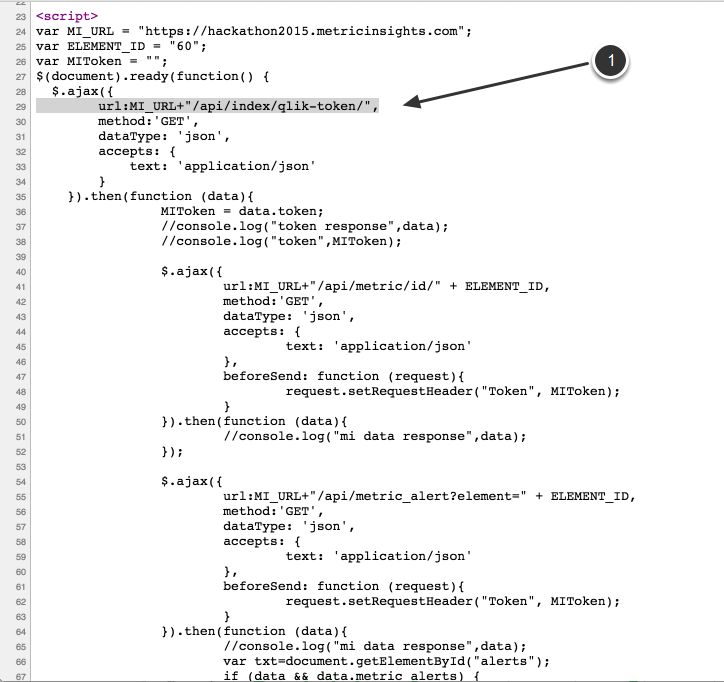 Use the API Test Tool to test the API calls and discover the API format for requests and responses. In this example, we pull all the data for the Metric identified by its Element ID.